Dance/USA and Dance Heritage Coalition (DHC) announced the integration of DHC’s preservation, archives, and education programs into Dance/USA. The leaders of these two nonprofit organizations, which share a mission to serve and support the dance field, are enthusiastic about the possibilities for collaboration and expanded services that will be created by this partnership. During 2017 and 2018, Dance/USA and DHC will work together to implement the transition and develop a robust model for integrating programs, resources, and memberships, as well as piloting new joint projects. 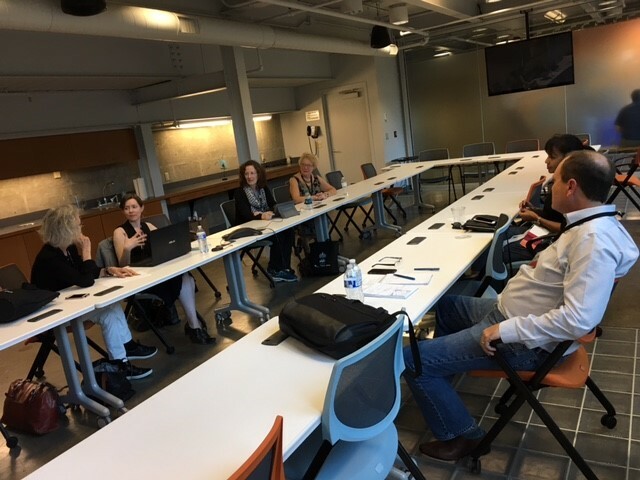 Dance/USA will launch a peer network for dance archivists which will meet through quarterly conference calls and an in-person gathering at Dance/USA’s annual conferences, ensuring that DHC’s founding mission to promote collaboration and information-sharing in the field will continue. 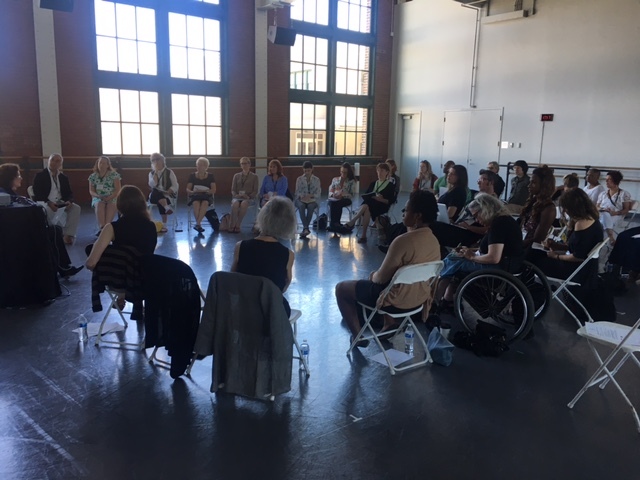 “One of the great advantages of working more closely with Dance/USA will be the increase in opportunities for dance artists and archivists to meet and work together,” said DHC’s acting executive director, Imogen Smith. “DHC has documented the creative potential in collaborations between artists, archivists, and scholars, and we anticipate that this relationship with Dance/USA will catalyze more such collaborations in the future.” To learn more about the integration click here. DHC offered consultations in the smART Bar as well as successfully presented at the Dance/USA conference this year. Looking for answers about how to preserve and manage your records? Dance/USA recently announced the newly updated and redesigned Artist's Legacy Tooklit and Records Management Guide. Created by archivists from the Dance Heritage Coalition, the Toolkit and Guide offer reliable and user-friendly advice, tools, and templates to help performing artists and their organizations save and share the records of their work. This new free resource is available on the Dance/USA website. To get started, find tips on Using the Toolkit, see the index of tools on the main page, or explore the resource by clicking the photos in the main menu. You can find templates for creating inventories; advice on proper storage and disaster planning; information about making materials accessible, and best practices for storing and organizing digital files, as well as links to vetted sources of information. Artists at all stages of their careers benefit from good records management systems. Not only will these practices ensure the long-term preservation of your artistic legacy, but they can save time and enable you to actively use your records for re-staging, marketing, education, engagement, creative repurposing, and fundraising. If you have questions or comments, contact Imogen Smith, Director of Archiving & Preservation, via email or call her at 202.833.1717 x303. Dance/USA's Archiving and Preservation department provides archival consultation to dance companies, including assistance with archival inventories, preservation, digitizing, and legacy planning. In 2018, Dance/USA has archiving contracts with Dance Theatre of Harlem and Lotus Music & Dance. Additionally, Dance/USA's Director of Archiving & Preservation leads a team providing archiving services to Mark Morris Dance Group.